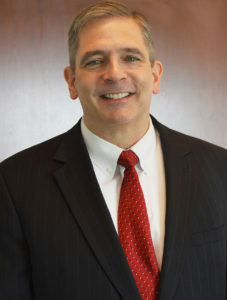 Gilbert Fonger joined Marklund in February, 2011, as president and chief executive officer, after serving for more than 20 years in a number of positions in the nonprofit field. As chief development officer at Little City Foundation in Palatine, he oversaw all fundraising, marketing, communications and business development. Prior to Little City, he held various executive positions with the YMCA of Metro Chicago, and served as a pastor for more than 10 years. He had also served as an officer in the U.S. Coast Guard. A Licensed Nursing Home Administrator, Fonger earned his MBA from the Kellogg School of Management at Northwestern in 2006. He also holds a master’s degree from Duke University and an undergraduate degree from the U.S. Coast Guard Academy. He was awarded the certified fundraising executive credential through CFRE International in 2007, and was recertified in 2010. He and his wife Paula have a daughter, Jacquelyn, with special needs, and a married son, Kyle. Contact Gil Fonger at 630-593-5500. Kudus Badmus is responsible for the organization’s overall financial management, including budgeting and reporting. He also oversees the Support Services department and the Information Systems function. 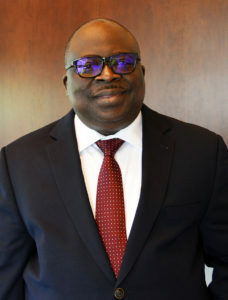 Kudus joined Marklund in 1996 and has held a range of positions in the Finance Department, including Accounting Supervisor, Finance Manager, and Director of Finance. He was promoted to the position of CFO in 2011. Kudus holds a bachelor’s and an MBA degree (with concentration in Accounting) from Roosevelt University, Chicago. He lives in Algonquin, with his wife; they both raised four adult children. His children, fortunately still live in the Chicagoland area. In his free time, Kudus enjoys mentoring young adults and volunteering to serve the underprivileged in various capacities. Contact Kudus Badmus at 630-593-5500. 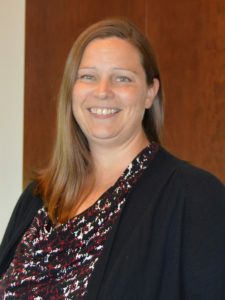 Heather Graves joined Marklund in May 2011 as Chief Development Officer, and has held several nonprofit fundraising positions over the past 20 years. Those organizations include the Community House in Hinsdale, the Make-A-Wish Foundation, and Camp Barnabas. She holds a bachelor’s degree from Baylor University and received her MBA from Oklahoma State University. Heather was awarded the certified fundraising executive credential through CFRE International in 2012, and was recertified in 2017. She resides in Naperville with her family, and enjoys running marathons and spending time with her children in her spare time. Contact Heather Graves at 630-593-5500. 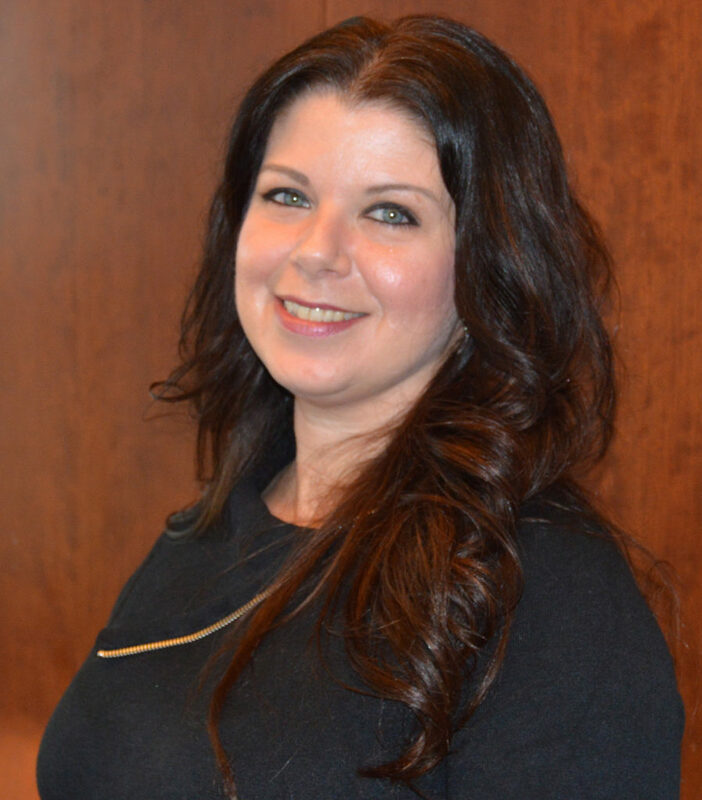 Krissy Dolen has been with Marklund for five years. She started as a part-time staff nurse at the Marklund Sayers Home in Geneva, and became full-time less than a year later. 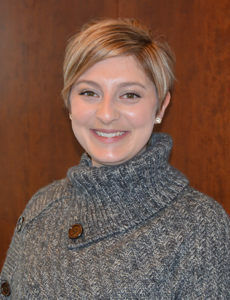 She progressed to being a Nurse Manager and then was named Director of Nursing for the Marklund Hyde Center campus in Geneva in January 2016. Krissy studied at the National University of Health Sciences and earned her nursing degree from Waubonsee Community College. She is a member of DDNA (Developmental Disabilities Nurses Association), and recently passed the State and Federal Certification Exams for Licensed Nursing Home Administrators. She resides with her family in Sugar Grove. Contact Krissy Dolen at 630.593.5156. Michelle Orwig, RN, CDON, LNHA, joined Marklund nearly 2 years ago as the Director of Nursing at the Wasmond Center. She previously worked as a Director of Nursing at other facilities for several years, and prior to that worked in a hospital setting for about eight years in the NICU/Labor & Delivery/Flight. She is a member of: APIC: Association for Professionals in Infection Control and Epidemiology; IHCA: Illinois Healthcare Association; ANA: American Nurses Association; AADNS: American Association of Directors of Nursing Services; NAB: National Association of Long Term Care Administrator Boards. Contact Michelle Orwig at 224-523-7531. Gunjan Patel has been with Marklund since 2004. She graduated from University of Illinois with a Bachelor of Science in Biology and from Northwestern University with a Master of Science in Physical Therapy. 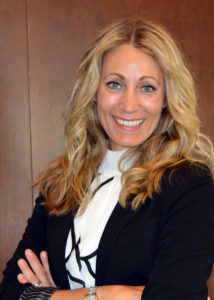 Her background consists of working and managing therapy departments at a variety of hospitals and out-patient settings in the Chicagoland area. 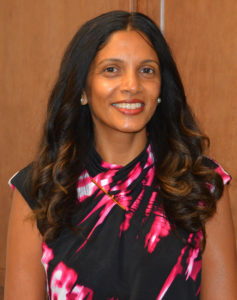 Currently at Marklund, Gunjan holds a LNHA license, and enjoys being both the Administrator for the Philip Center in Bloomingdale as well as Director of Therapy for all sites. Contact Gunjan Patel at 630-529-2871. Paula Bodzioch has been at Marklund since July 2014. Prior to joining the team at Marklund Day School, she worked in a public school setting for 13 years. In the public school arena, she was a special education teacher, student resource team leader, special education department chair and assistant principal of curriculum and development. Paula has a bachelor’s degree from Benedictine University and a master’s degree from St. Xavier. Contact Paula Bodzioch at 630-307-1882. Dawn Lassiter-Brueske joined Marklund as its Director of Marketing and Communications in July of 2011. Previously she had worked in PR with Hospice & Palliative Care of Northeastern Illinois, after working for many years in the public relations and media fields. She earned a Bachelor of Arts in Communications from Loyola University. As a freelance writer, she has published several articles for both trade and mainstream media. She is a member of the Public Relations Society of America, and The Association of Women in Communications. 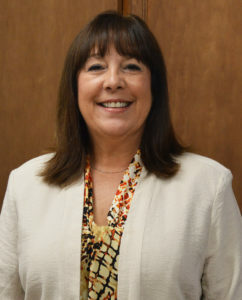 A near lifelong resident of the St. Charles area, she is proud to give her time to her community, having served on various boards, most recently as the president of the board of directors for the St. Charles Library Foundation. Contact Dawn Lassiter-Brueske at 630-593-5500. 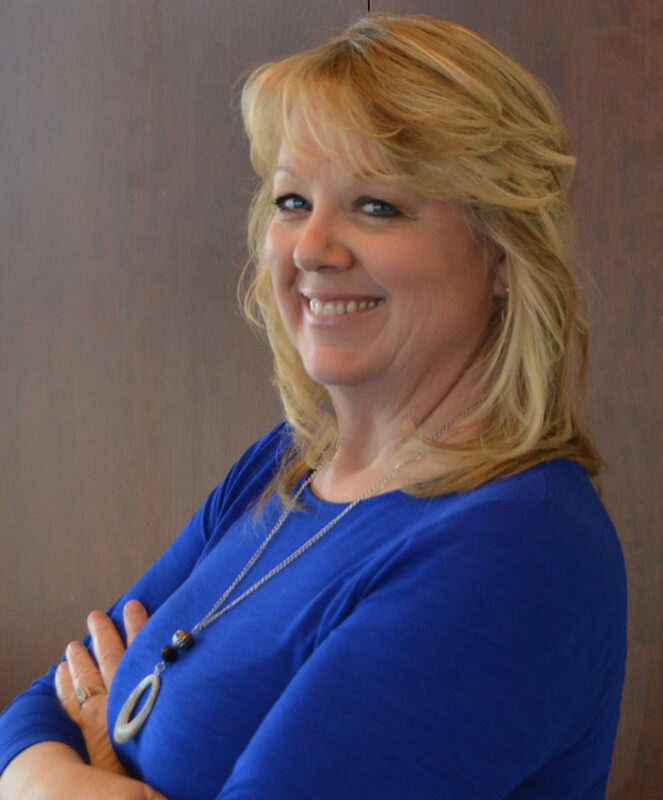 Joan Rubino has worked for Marklund for 24 years, always within the Human Resources Department. Joan started off as the Human Resources Designee for the Marklund Children’s Home (now called the Marklund Philip Center). Over the years, she became the Human Resources Manager and was responsible for the Human Resources function throughout the organization. She was promoted to Director of Human Resources in 1998. Previous to Marklund, Joan worked in the HR Department at MacNeal Hospital in Berwyn. Contact Joan Rubino at 630-593-5500. Lois Sheaffer has enjoyed a rewarding career with Marklund since the early 1980s, having worked as a certified recreation therapist, nursing home administrator, and director of children’s services. 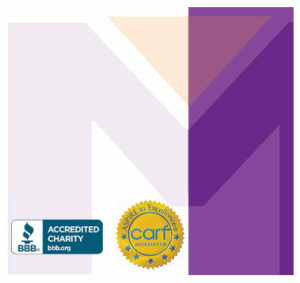 She is currently the National Director and Master Trainer for Marklund’s REST (Respite Education and Support Tools) Program, a national respite training program for volunteers and paid respite-care workers. In addition, Lois is a registered lobbyist and serves as the Director of Government Relations and Community Support for Marklund. She has been active in the Illinois Respite Coalition and served as its president for 5 years. 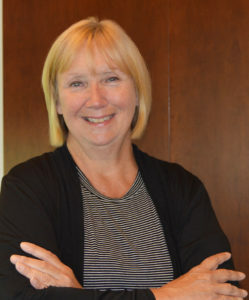 Lois has a passion for making a positive difference in the lives of caregivers, and volunteers who discover the joy of connecting one-on-one with care recipients. Contact Lois Sheafferr at 630-397-5655.